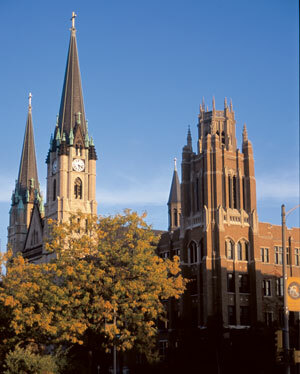 Each spring, Marquette University sets aside one special weekend to honor distinguished alumni from every college and school who represent the heart, soul and spirit of Marquette. Hundreds of alumni and guests come to campus for a series of celebrations regaling our Alumni National Award recipients — a chance to hear their stories and how they are making a difference in the lives of others. Alumni National Awards Weekend culminates in a black-tie event Saturday night that honors the All-University Award recipients. This year's festivity will honor seven All-University Award recipients, including the Alumnus of the Year, who have made significant contributions to the world around them.